Photographs of the Financial District, Boston, Massachusetts. At 614 feet the Federal Reserve Building is the tallest building in Downtown Boston. 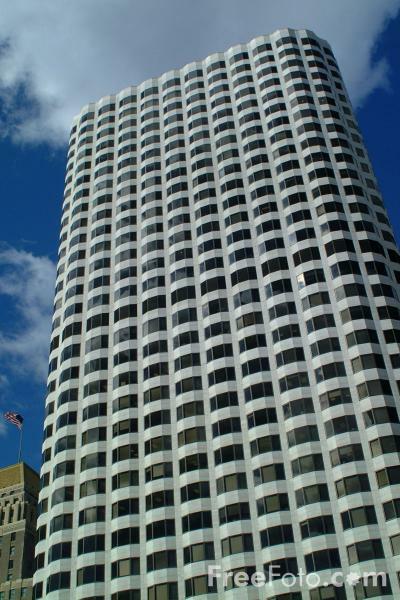 125 High Street is a unique office complex located in the heart of the downtown financial district. Mayflower II - replica of the famous ship that brought the Pilgrims across the Atlantic Ocean more than 375 years ago.